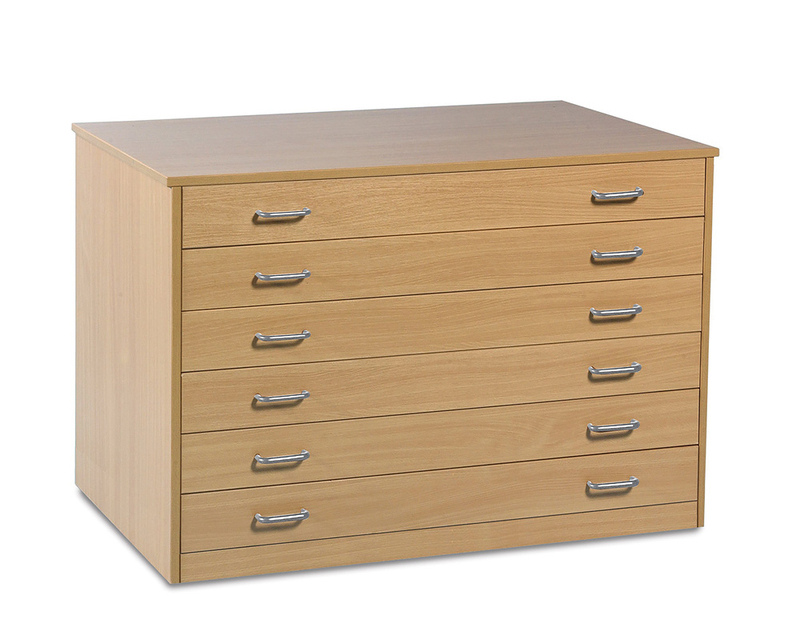 The 6 drawer plan chest is suitable for storing plans, maps and paper up to the size A1. Suitable for use in education particularly in schools. Constructed from 18mm durable MFC and finished in a modern beech colour. 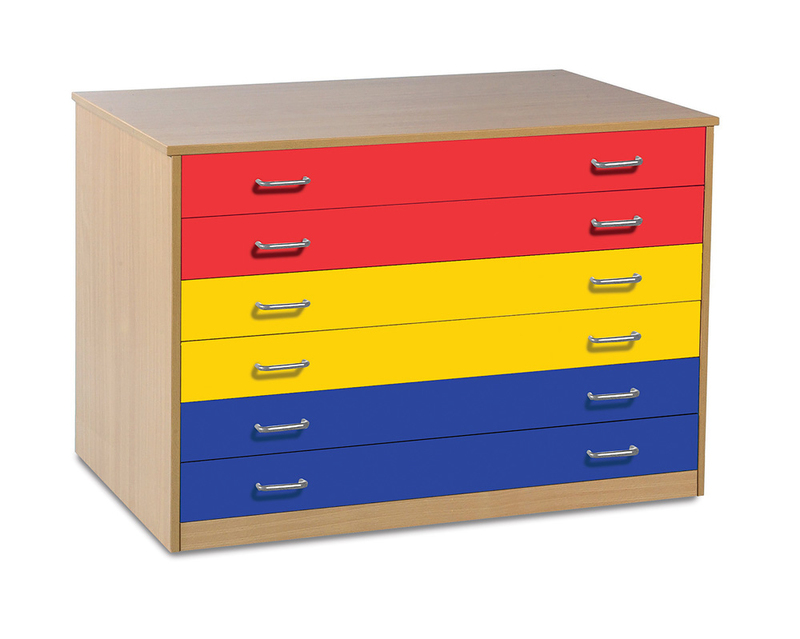 You can choose to add a burst of colour to your classroom by selecting coloured drawers - choose from red, yellow, blue or multi-coloured. Each draw incorporates drawer stops to avoid the drawers being pulled out of the unit.